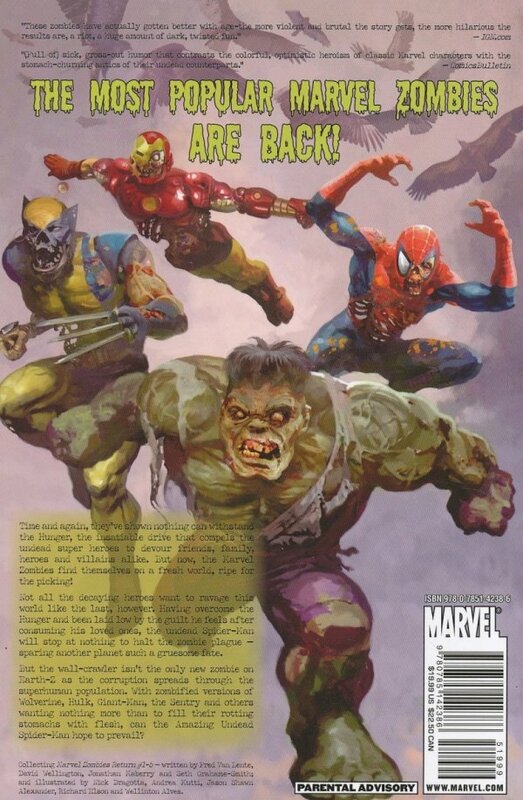 THE MOST POPULAR MARVEL ZOMBIES ARE BACK! Time and again, they've shown nothing can withstand the Hunger, the insatiable drive that compels the undead super heroes to devour friends, family, heroes and villains alike. But now, the Marvel Zombies find themselves on a fresh world, ripe for the picking! Not all the decaying heroes want to ravage this world like the last, however. Having overcome the Hunger and been laid low by the guilt he feels after consuming his loved ones, the undead Spider-Man will stop at nothing to halt the zombie plague - sparing another planet such a gruesome fate.